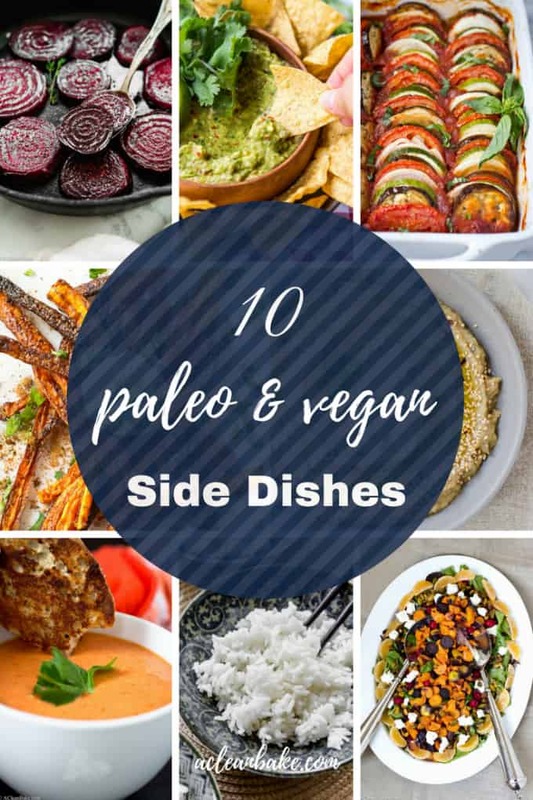 These vegan paleo side dishes allow you to reap the health benefits of both the paleo diet and the vegan diet, but without sacrificing flavor or enjoyment! Serve these easy sides with your next dinner – they’re all easy enough to whip up tonight! 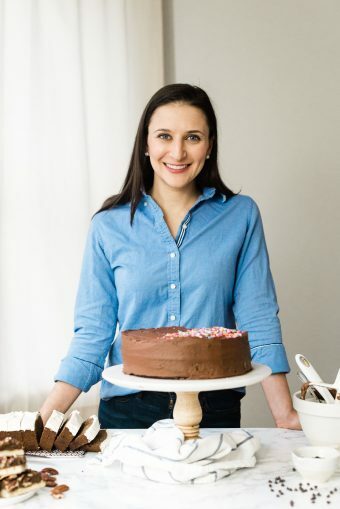 People who follow a gluten free & paleo diet swear by it for everything from reducing inflammation to natural diabetes management and blood sugar regulation to gut health. But those who follow the vegan diet (i.e. eliminate all animal products from their diets) claim just as many health benefits from practically the opposite eating style: those who eat eat mostly plants (or all plant-based foods) swear that it helps them combat heart disease, overcome obesity and promote weight loss, and increase energy. When I first found out about the pegan diet, I assumed followers of this diet must not be able to eat much more that bananas and peanut butter. But lately, my family of meat eaters has been eating vegetarian and vegan meals ore often and the marriage of the paleo diet and the vegan diet has started to make more sense to me. A plant-based diet is better for the environment. Organic, high quality fresh produce is cheaper than the equivalent quality animal foods (i.e. grass-fed beef or other grass-fed meat), so paleo dieters stand to save some money by swapping a meat-heavy meal for one that is plant-based. 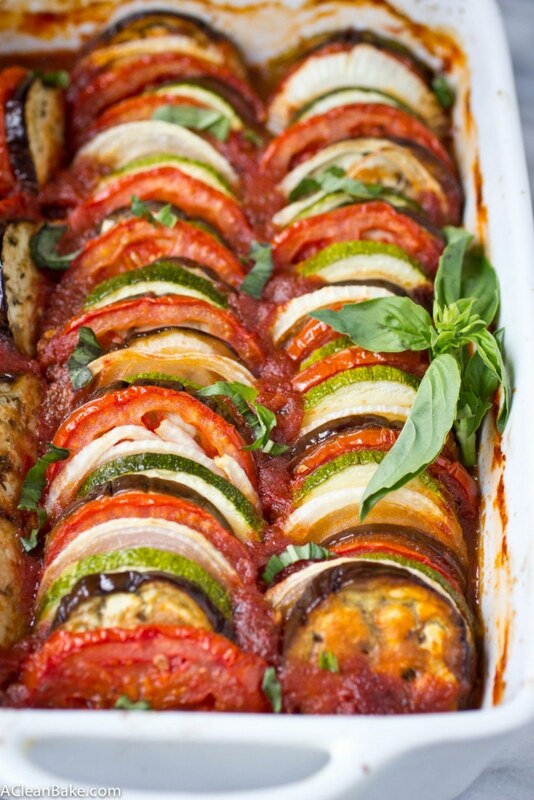 It’s easier to cook, and many meatless recipes are raw too – perfect for summer! In the spirit of Meatless Mondays, I’d like to share a handful of vegan paleo side dishes to round out your meal. Simply pair them with a high protein entree (I recommend this baked tofu, if you can tolerate soy, even though it is not one of my paleo recipes) for a meatless meal that is part of a healthy diet! This is, by far, the most popular recipes on my site, and with good reason. It’s versatile, adaptable, and a perfect make ahead option (follow the cooking instructions, cool completely, and freeze in an airtight container). It’s been pinned on Pinterest nearly half a million times! Dozens, probably hundreds, of readers have made it and put their own stamp on it: they’ve served it over quinoa, under cheese, alongside just about every protein you can imagine, and doubled the recipe to feed a crowd. Pin it, print it, and make it – you won’t be sorry! This method works for roasting just about any root veggie (I recommend carrots and turnips!) but you should definitely start with the beets. Those poor red blobs get such a bad reputation, thanks to those bland, floppy canned beets that most people think of first. 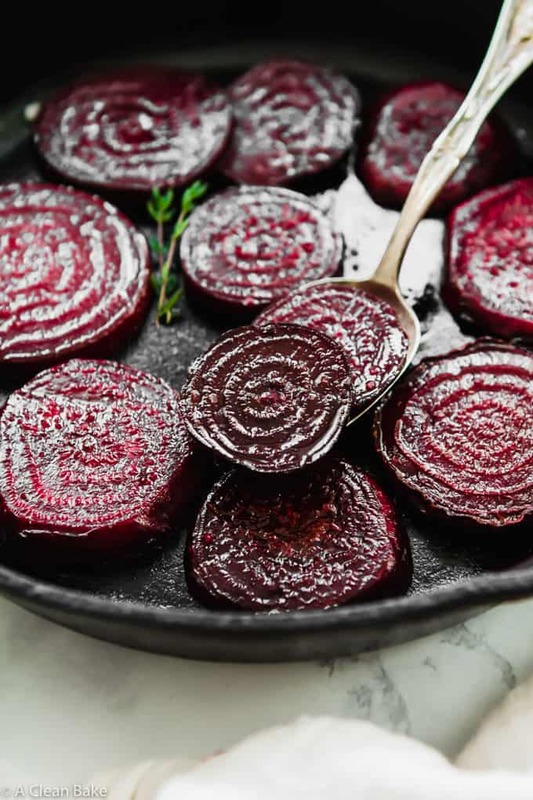 After you try this recipe, which lets the pure flavor of the fresh beets shine through, enhanced only by a dab of olive oil and a pinch of salt, you’ll never not think of beets are tender, sweet, veggie candy that they can (and should) be. I sincerely hope that you have a fresh, crunchy cucumber and a juicy bunch of sweet tomatoes on your counter all summer long, because you’ll never go hungry again. It’s truly incredible what you can do with fresh veggies, good quality olive oil, and a generous pinch of salt. 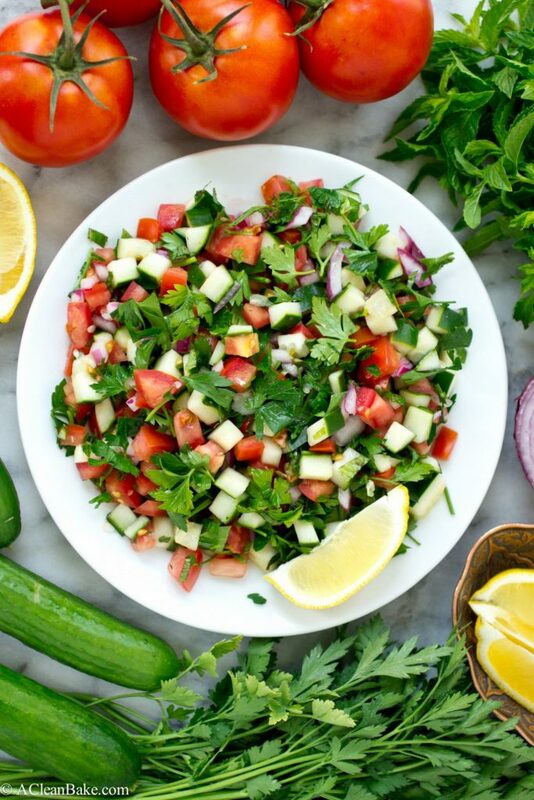 This salad goes by many names, but whatever you call it, it’s always satisfying! This is another one of those mega-fan faves. If you ever enjoyed a bowl of Campbell’s tomato soup, or have any desire to re-enact the commercials without ingesting all kinds of artificial ingredients and other nonsense, this is the soup for you. If you only have 15 minutes to get dinner on the table, this is also the soup for you! I highly recommend it with some good bread (<– not vegan!) or a grilled cheese, on the side, for dunking. You’d never know that such a complicated-flavored recipe was so easy to make. The secret is ras el hanout spice mix (available online), a bold blend of smoky flavor like cumin, warm flavors like cinnamon and cloves, and a little bit of heat from something like chili powder. There is no definitive recipe for it, so every brand and recipe is a little different, but it is always a perfect compliment to the sweetness of lightly steamed carrots. Since this dish is meant to be served cold, this is also a great meal prep option! 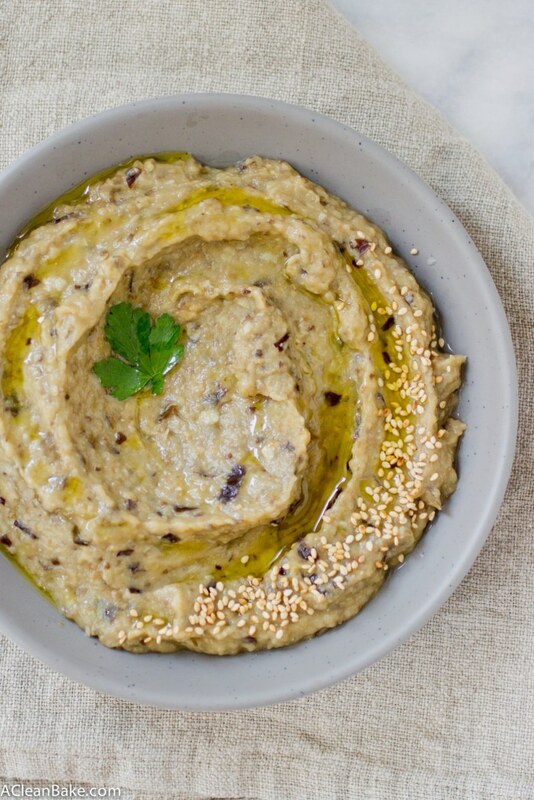 You can serve this as a side with chips or veggies for dipping, or as a condiment, to slather veggie burgers with. 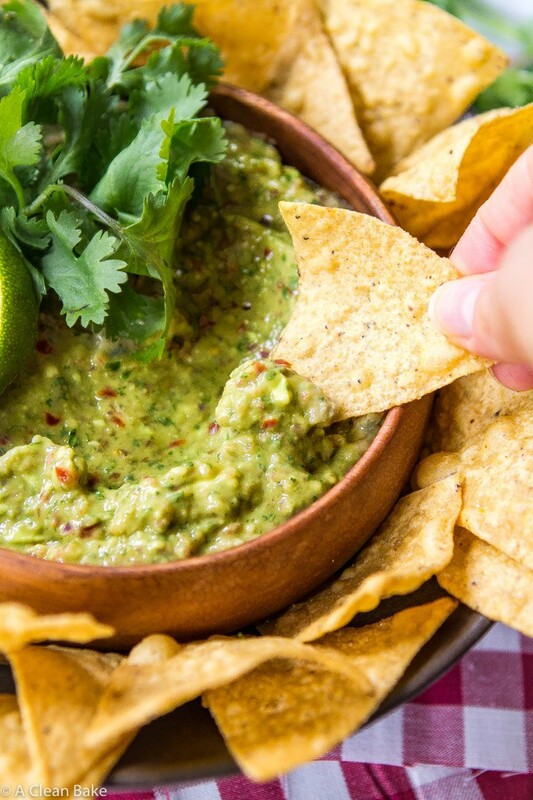 What isn’t improved by guacamole, really? The best part about this recipe is how low maintenance it is, even compared to other (admittedly easy) guac recipes. All this one requires is a few minutes of rough chopping, and then you let the food processor do the rest. Remember when kale chips were everywhere but no matter how trendy they got, that didn’t change my inability to tolerate kale? Just me? 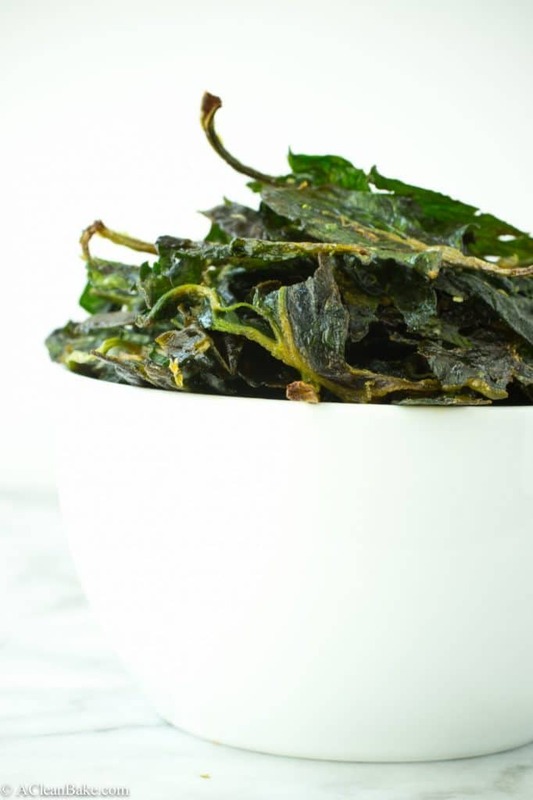 Well, my point is that if you enjoy kale chips, or if you don’t enjoy them, you’ll love their more delicate counterpart in homemade sea salt and lime spinach chips. All you need is a sheet pan and an oven and you’ll have an unexpected, casual side dish in no time! It’s the easiest side dish in the world, but let’s not overlook the merits of a simple side salad. The trick to making it something special is to serve it with an exceptional dressing. 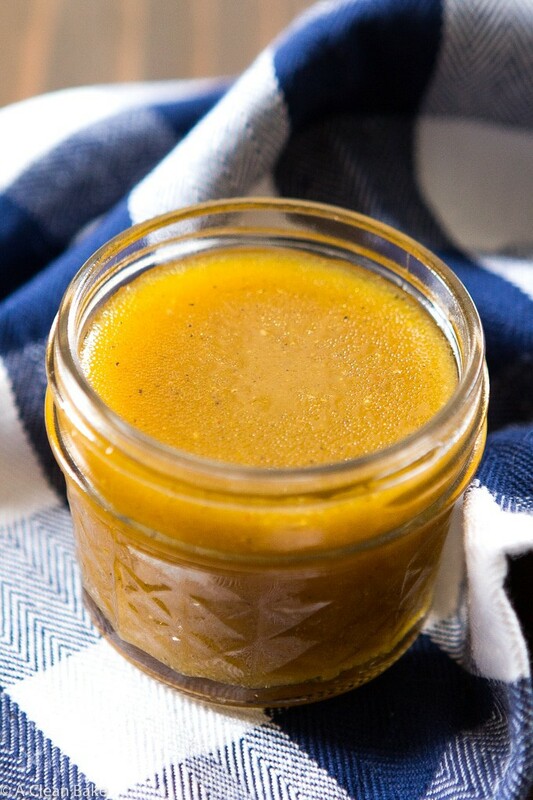 Apple cider vinegar dressing packs an acidic zing, but is balanced with just enough sweetness from a splash of maple syrup. This is another simple, versatile side dish that will get you far. 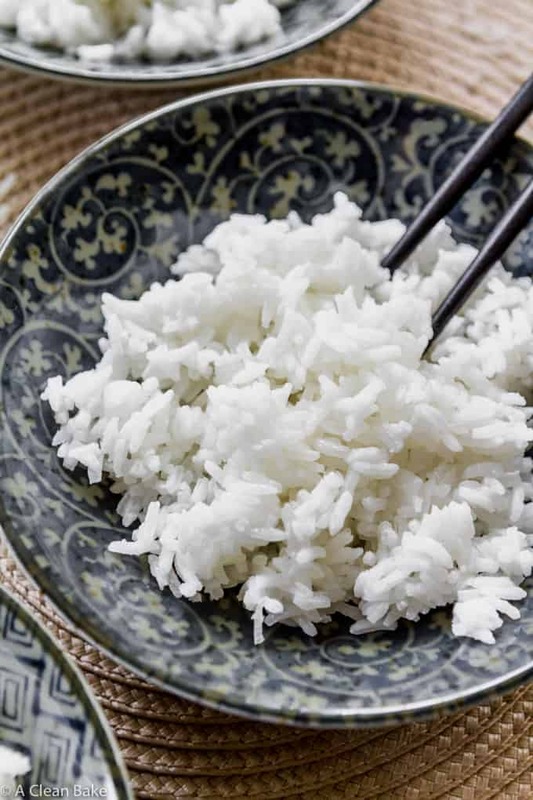 I make huge batches of white rice in my slow cooker and use them for side dishes throughout the week. Make it ahead of time, season it with olive oil, herbs, and spices, and reheat it just before the meal. Get the method for rice in the slow cooker here. 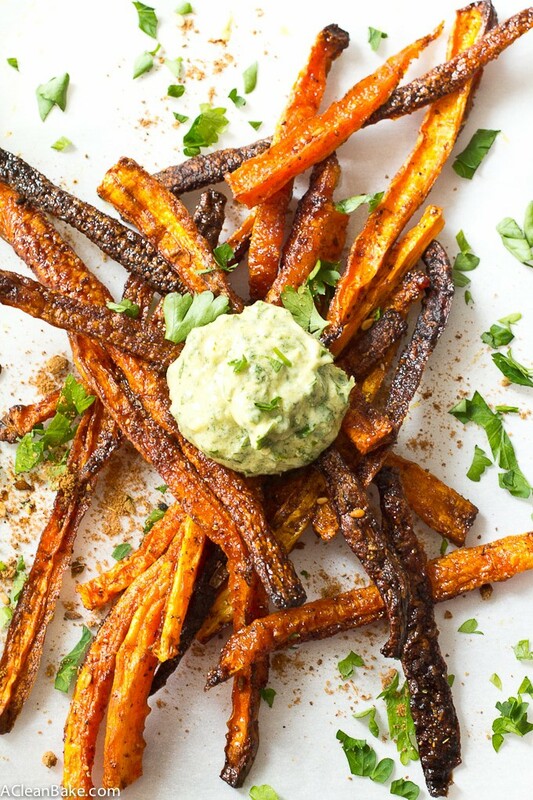 If carrot fries sound a little strange, it’s only because you haven’t tried them yet. 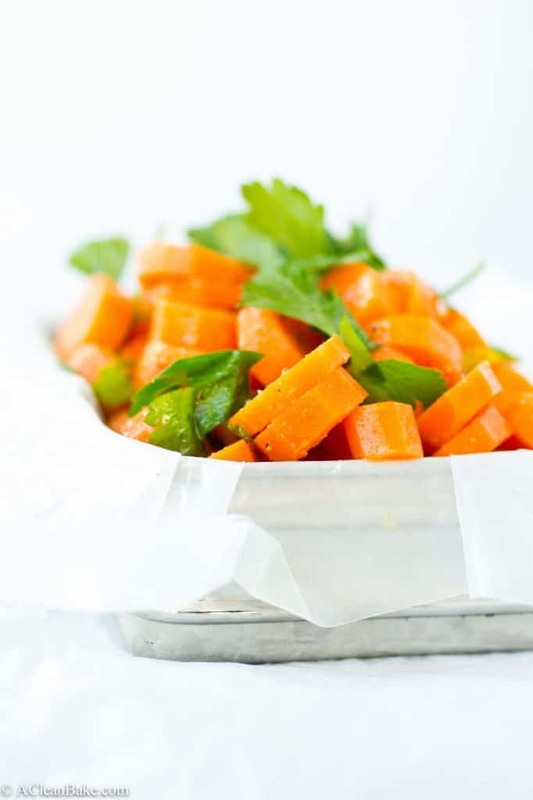 It makes sense: carrots are starchy root vegetables, just like potatoes, whose natural sugars caramelize into the crisp edges that you demand from your fries – no frying required. These oven fries are such a satisfying side dish that you practically don’t need a main course! 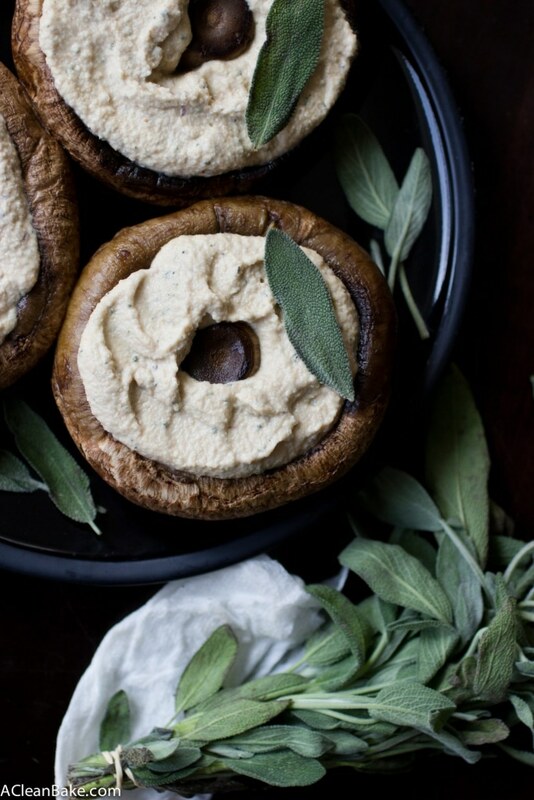 The homemade vegan ricotta in this recipe is incredibly versatile, but one of the best uses for it is to stuff tender portobello mushroom caps for a hearty side dish with tons of flavor. 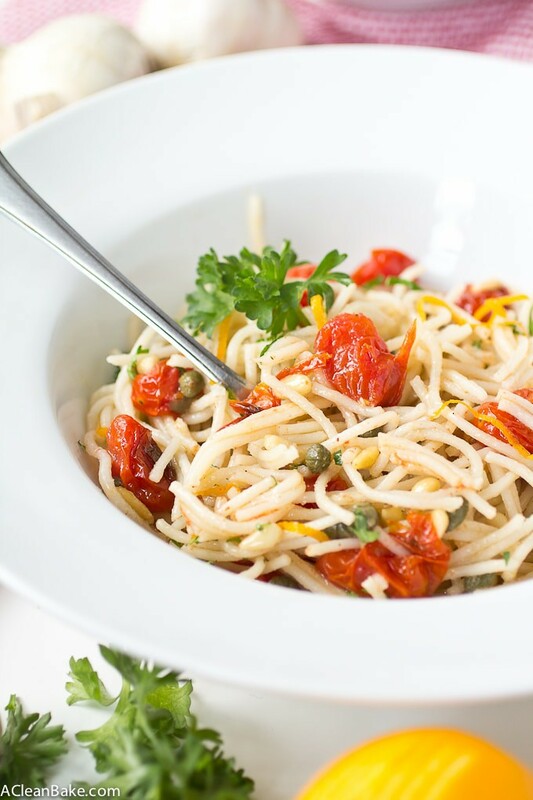 This is the kind of dish that makes you forget that there’s no meat on the table – really! Squash-based soups are one of the easiest vegan paleo side dishes because they require so little effort for such delightful flavor and texture. Just a few ingredients make up this sweet and spicy dish. 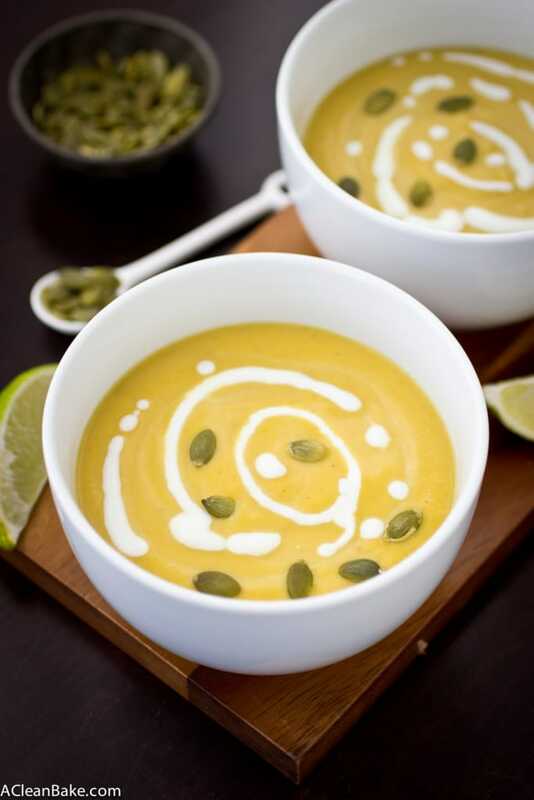 The starchy squash makes the soup naturally very thick and smooth, but the added coconut milk makes it ultra rich and creamy. It’s one of those dishes that feels like a weekend meal, but is made for weeknights. This, like the soup above, is another one of those recipes that tastes like so much more than the sum of its parts. The prep is simple: just throw everything in the oven, then blend. But the dip is velvety smooth, rich, slightly smoky and very pungent – and it goes with nearly everything. 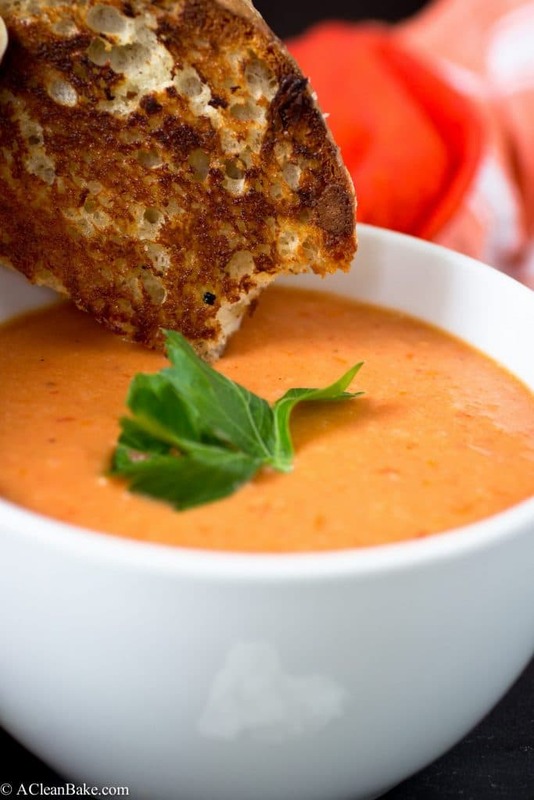 Serve it with crackers or veggies, use it as a sandwich spread, dip those carrot fries in it! 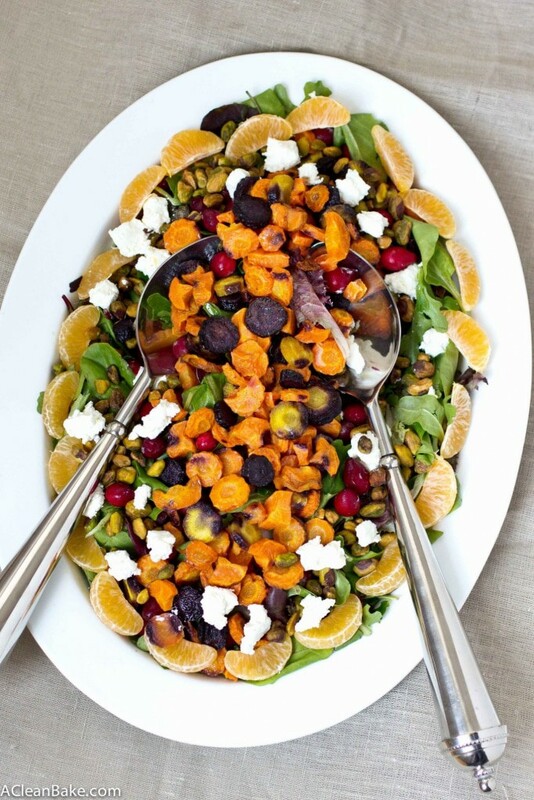 This salad is, in my opinion, the single most underrated recipe on my site. If that, alone, isn’t enough to convince you to try it, imagine bright, sweet flavors, a melange of texture, and crunchy base of tender, fresh greens. You can check out all of the vegan recipes on my site here!